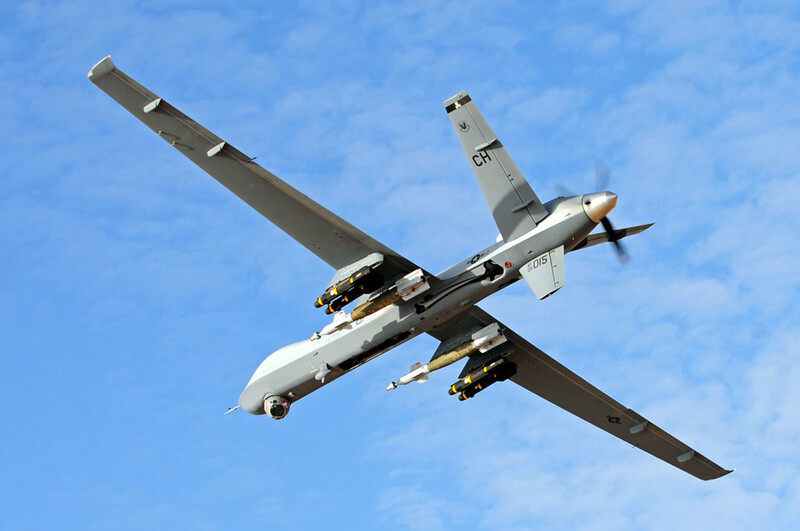 Over the past decade the use of armed drones has dramatically increased and spread with drone strikes reported to have taken place in up to ten countries. Although the US use of drones in Pakistan and Yemen has been most controversial and received the majority of media coverage, Afghanistan has been the real centre of armed drone use. The first combat drone strike took place in Afghanistan just weeks after 9/11 and the vast majority of drone strikes have taken place there although exact figures remain shrouded in secrecy. It is not surprising therefore that the forthcoming end of NATO combat operations in Afghanistan later this year brings the drone wars to something of a crossroads. Many USAF and RAF armed drones are currently based within Afghanistan where they are launched and landed by a joint US-UK team (when the drones reach 2,000 feet control is handed over to pilots in the US or the UK). British Reaper drones are based at Kandahar airfield while US drones are also located at several other US bases within Afghanistan including Jalalabad Air Base, Bagram, Camp Leatherneck and some Forward Operating Bases (see Nick Turse’s excellent report on the global locations of US drone bases). Until recently it seemed highly likely that some drones at least would remain in Afghanistan even after the end of combat operations in December 2014 as a part of a NATO security assistance programme although no concrete information had emerged about this. Afghan President Hamid Karzai however has so far refused to sign a bilateral security agreement with the US, insisting it should be signed after the Afghanistan elections in April 2014 when the next Afghan government will be formed. The US has insisted this is far too late and that plans for a complete US withdrawal (a so-called ‘zero option’) are now being drawn up. Whether this is simply political brinkmanship and a deal will eventually be done is unclear. If US military forces do completely withdraw it is very hard to imagine that other NATO forces including the UK and its drones would remain. Separate from USAF drone operations are special forces (JSOC) and CIA drone operations. While there are distinct CIA facilities within Afghanistan, mainly near the Pakistan border, it appears that CIA drone flights in Pakistan rely on US military bases in Afghanistan particularly Jalalabad Air Base. Drone strikes in Pakistan are undertaken both by the CIA and by Joint Special Operations Command (JSOC) utilising both US military bases and CIA facilities in Afghanistan. Although the CIA did have use of at least one airbase in Pakistan – Shamsi airbase in Baluchistan Province – they were ordered to leave following growing public opposition to the strikes and the deaths of Pakistani troops in a November 2011 US air strike on the border. While there has been some suggestion that other Pakistani bases may have been involved in drone operations it seems (as far as is known) that US drones are no longer based within Pakistan. The prospect of a full US military withdrawal from Afghanistan will therefore, as the New York Time put it recently, imperil drone operations in Pakistan. News reports have suggested that US armed drones could be moved to airbases to the north of Afghanistan with Tajikistan being specifically mentioned. While the US has other bases in the region, the further away the drones are based, the longer flights take to get back and forth to Pakistan consequently leaving less time to be looking for targets. However the Gray Eagle drone, a more advanced version of the Predator/Reaper with a much longer range is known to be in operation with US special forces. 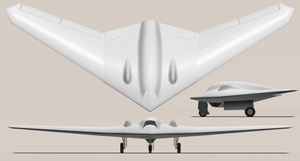 While drones with much longer flight times and ranges such as the Avenger and even the X-47B, are being developed and tested, they are still some way off from going into production let alone deployment. Meanwhile drone strikes continue to be ‘paused’ in Pakistan with the last known strike taking place more than two months ago on December 25 2013. Although we can’t be completely certain why the strikes have stopped, the Bureau of Investigative Journalism reports that the Pakistan government specifically asked for a halt to the strikes in order to begin peace talks with the Pakistan Taliban (TTP). While the talks apparently collapsed after the killing of 23 Pakistani soldiers, at the beginning of March the Taliban announced a one-month ceasefire in order to get them restarted. While the US apparently maintains the options to carry out strikes, the longer the pause continues, the harder it will perhaps be to justify re-starting them. Over the next few months drone operations will continue in Afghanistan and may even increase as the deadline to withdrawal approaches. Indeed the UK has announced that it has received into service a further five Reaper drones and is about to deploy them to Afghanistan. While drone strikes have declined and now paused in Pakistan, they could well start again, particularly if peace talks fail and the trailed Pakistan military offensive into Waziristan begins. But it is clear that the withdrawal of NATO forces will have an impact on drones operations in Afghanistan and Pakistan, even if an agreement is finally reached which will see some forces remain after 2014. Elsewhere US drones based in Djibouti continue to launch strikes in Yemen despite growing condemnation of the December 2013 ‘wedding’ drone strike that killed at least 12 civilians. In addition unarmed US and French drone flights continue over Mali as drone bases are being expanded while the incoming Head of Africom (US Africa Command), General David Rodriguez, lobbied the Senate Armed Services Committee this week for more drones and resources. In addition some experts are suggesting the UK drones could be deployed to Africa once the Afghanistan deployment is ended. It seems that as drone operations may be winding down in Afghanistan, they are increasing over Africa. In the longer term more countries are acquiring or developing predator-type drones as the next generation of stealthy, combat drones – which are much more autonomous and capable of defending themselves in armed confrontation with other aircraft – are making their way off the drawing-boards and into the skies. The increasingly long drone strike ‘pause’ in Pakistan together with the uncertainty over future drone operations in Afghanistan highlights the fact that we may look back and see 2014 as a real turning point. Over the next 12-18 months we may see some really changes but it seems increasingly clear that once we pass this crossroads, the drone wars will continue into the distant future.